Her Royal Highness Princess Charlotte of Cambridge finally met her great-grandmother. On Tuesday, Queen Elizabeth II visited Princess Charlotte, where the family members met for the very first time. Just three-and-a-half days after Kate Middleton and Prince William welcomed Princess Charlotte Elizabeth Diana, Queen Elizabeth headed to Kensington Palace to officially welcome her fifth great-grandchild to the world. After returning from her Sandringham estate in Norfolk, the queen headed to William and Kate's place, where she visited the family for less than an hour. The queen has yet to give a statement about her great-granddaughter, but there's no doubt that she has all the love in the world for Princess Charlotte. Plus, you know the two probably bonded over the fact that the princess shares her great-grandmother's name. 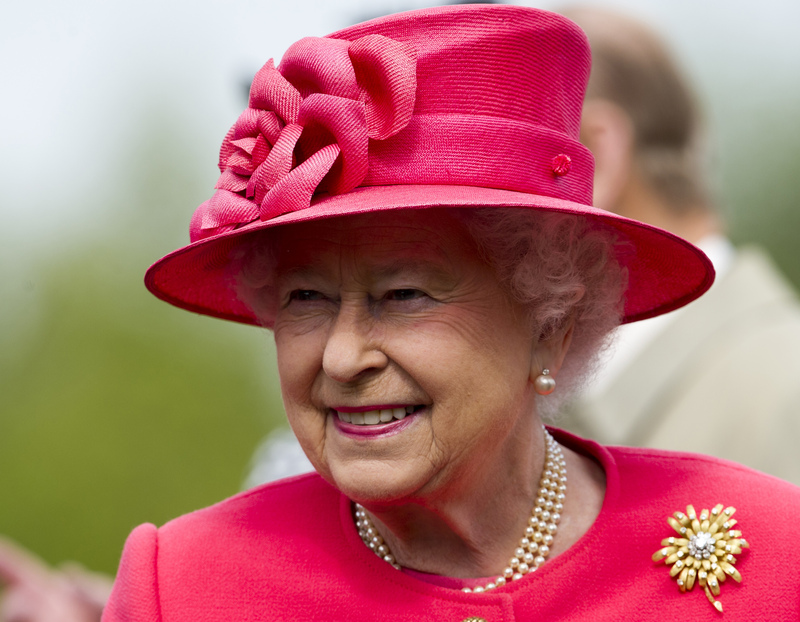 Soon after Princess Charlotte's birth, Queen Elizabeth was spotted wearing a pink coat and hat. What better way to celebrate the arrival of your grandson's second child than by expressing your excitement through your wardrobe? In addition to the queen, the princess was also visited by the Prince of Wales, Charles, (who you know was thrilled to meet his granddaughter) and the Duchess of Cornwall, Camilla. Middleton's parents, Michael and Carole Middleton, and her sister, Pippa Middleton, also met the princess. Just like the world and royal baby enthusiasts, who are over the moon for Princess Charlotte, so is her family.